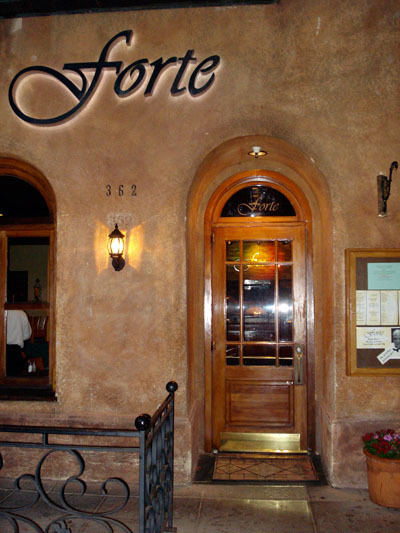 Forte Ristorante, previously Prego, is located in the heart of Beverly Hills. The mediterranean decor is nice and the restaurant is very comfortable. Parking in the area can be problematic. So, if you don’t find a parking space straight away, head to one of Beverly Hills public parkings. Service was very good. The maÃ®tre d’hÃ´tel took care of us and provided good advice. While we leaved sometime after the restaurant closing time, we weren’t pushed out of the door. I started with a tricolore salad. This version of the tricolore salad was arugula, endive and radicchio. The salad has nothing exceptional but was good. As main course, I had swordfish. It was served with diced tomatoes lightly cooked with olive oil and caper, potatoes, beans and carrots. 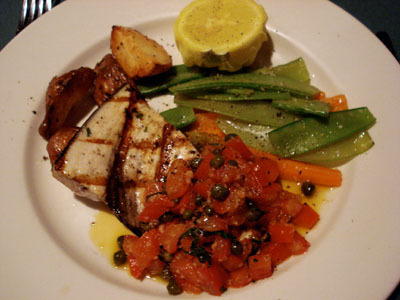 Swordfish is usually dry as most of the restaurant overcook it but not this time. It was tasty and juicy. The vegetables were perfectly cooked, neither too soft or hard. 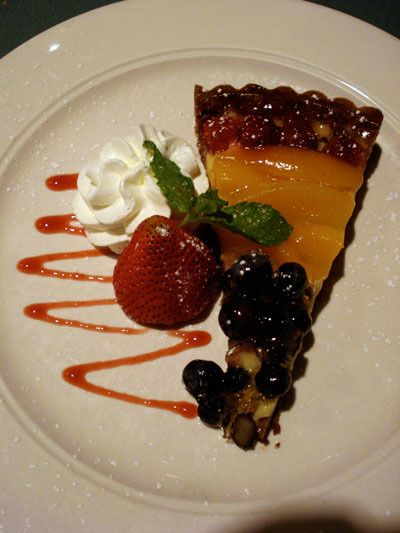 As desert, I had the fruit tart. The fruit tart that day was raspberry, peach and blackcurrant. It was served with a decor of whipped cream and strawberry on a strawberry coulis. It was very good. The pastry was not too hard or too soft and the glaze wasn’t too sweet. I had an opportunity to taste the Panacotta cheese cake. It was truly delicious. Light, fluffy and tasty. Perfectly complemented with strawberries. Around $65, including drinks (red wine, sparkling water and espresso) and tip. 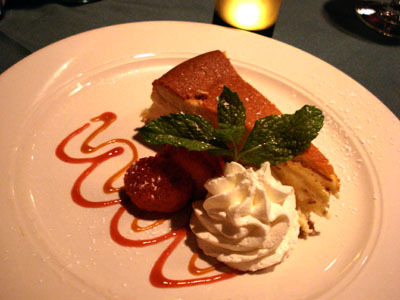 Considering the food and the location, Forte Ristorante offers good value for money. I will probably come back. Along with 2 other women, I am planning a baby shower here the 2nd week of Feb. I went by to check on something today (1/10/08) and found it closed. I called the 2 numbers that were given to us but they were disconnected!!! Help. Do you know anything about this? I passed by Forte yesterday and it seems that the restaurant has been sold. I guess that they are going to open something new later this year.